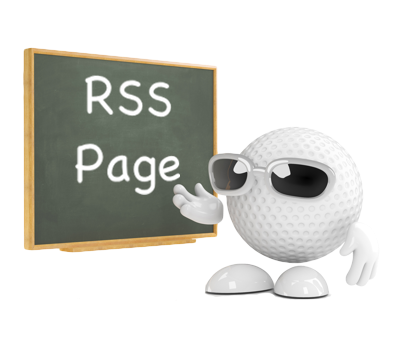 The RSS page type allows Clubs to display an RSS Feed of their choice. An 'RSS URL' must be specified by the App-builder. Links to retrieve RSS URL's from popular sites are provided, or any preferred RSS URL can be specified, if preferred. 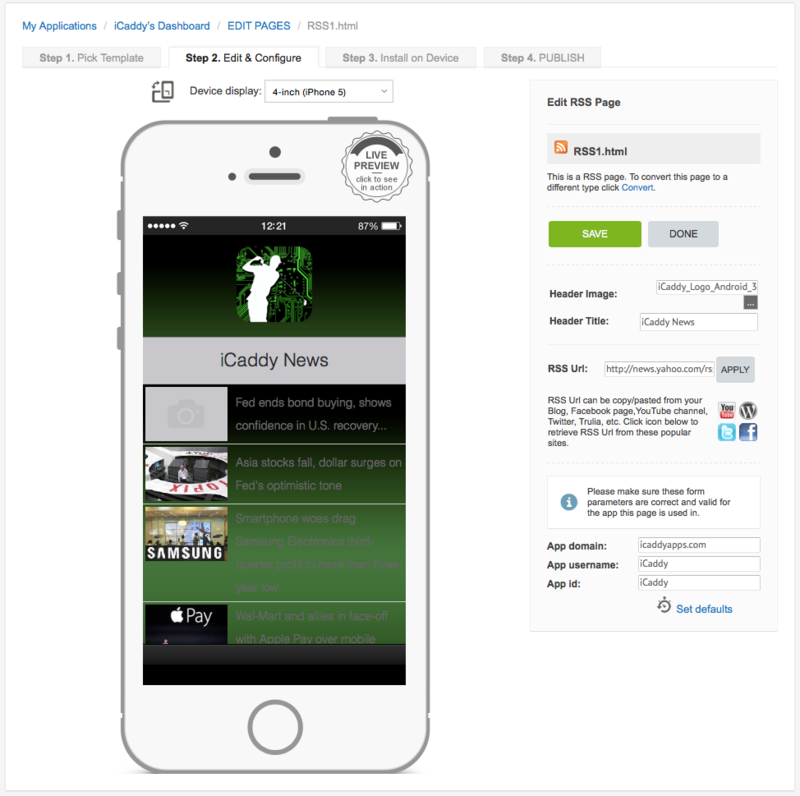 Note: This page type is provided for custom-build purposes and is not included in iCaddy App templates (by default), however this page type can be added to any App if required.